All animals have reflexes that help to stabilize the image of the environment on their retinas. Such reflexes are triggered, for example, by translational movement of the environment. Look out of the window of a moving train, and your eyes will jump back and forth! This is the optokinetic reflex. Similarly, there will be compensatory head movements, caused by the optomotor reflex. 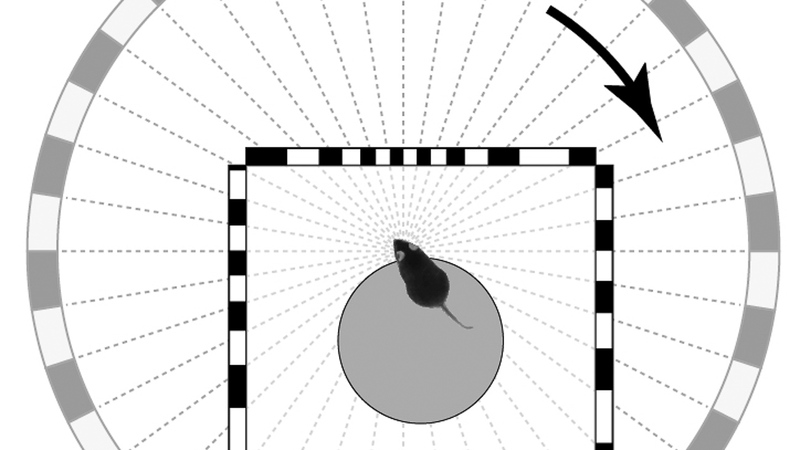 Observing those reflexes is an important tool widely used in research to assess the visual abilities of animals. 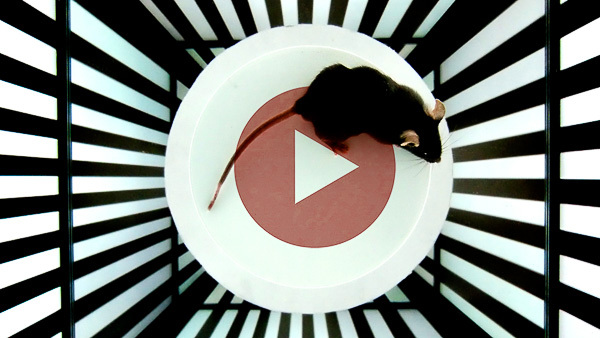 After all, one cannot ask a mouse whether or not it has seen a stimulus. But only a stimulus that is actually seen can trigger such reflexes. 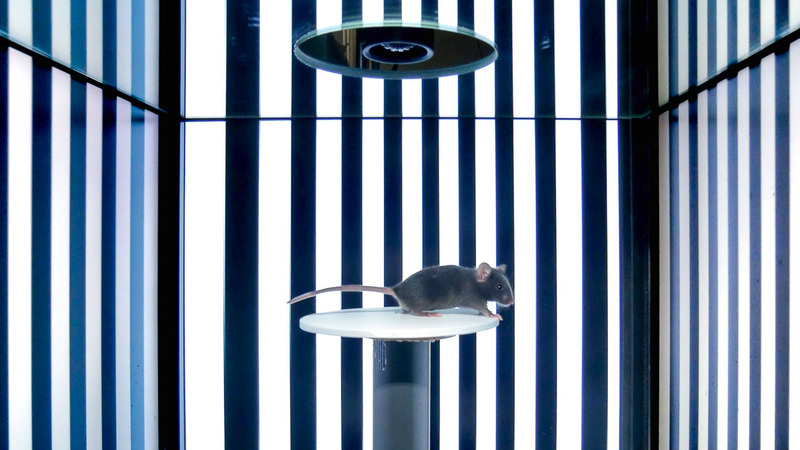 So far, it has been very tedious and time consuming to analyze the corresponding reflex-driven behavior of mice. Our OptoDrum system automates this task. It delivers quick and objective results about their visual abilities, such as contrast sensitivity and spatial acuity.